Do your clients struggle with chronic anxiety, grief, guilt, anger or loneliness? Learn effective tools to work with client emotions. Discover how A.R.T. relieves deepseated emotional pain. A.R.T. gets to the root of emotions such as anger and fear by working directly on our most primitive survival reflexes that originate in the amygdala. Bob’s wife has had enough. Worn out by his aggression and rage, she is finally ready to leave him after 25 years of marriage. Bob recalls as a young child trying to make himself invisible, keeping very quiet and staying out of his father’s way. He was terrified of his father, who would regularly take out his frustrations on his young son in a drunken stupor. When Bob got to his teenage years he was strong enough to beat his father up – this happened only once, after which he left home. He could never understand why his own mother didn’t leave his father and didn’t protect him when he needed it most. He vowed he would never be like his father. He fell in love and married his sweetheart, but a few years into the marriage Bob’s anger started surfacing. He was critical of his wife, calling her stupid and making jokes at her expense. She had to be a stay at home mom, dinner was ready by six pm every night- the family lived by Bob’s rules. And he showed little interest in their three children, parenting was left up to his wife. Bob was reserved in his therapy sessions – he had learnt as a child to be witholding. He was given simple physical movements to trigger his amygdala to release his survival reflexes. The movements included for example moving his head from right to left and back again; and stretching his achilles tendon by pushing his heels out. He also selected specific emotions that he considered to be problematic for him and that he wished to have better control over. He chose the emotion ‘resentment’ at his first visit. After completing the physical movements and contemplating a feeling of resentment Bob felt sleepy and his eyes closed. He dozed off for a few minutes. When he opened his eyes he felt spacy. He was given a grounding exercise to stop this dissociative state. He felt more relaxed at the end of his session and left for home. The session was a success – Bob had started his journey to recovery from childhood trauma. We have three basic survival reflexes, namely fight, flight and freeze. These three reflexes each have corresponding emotions: the fight reflex causes us to feel anger, the flight reflex causes us to feel fear and the freeze reflex causes us to feel apathy and to dissociate. Whenever we feel threatened our survival reflexes are automatically activated, even if we are not consciously aware of this. The sleepy feeling Bob experienced in his session is a form of dissociation, which is caused by the freeze reflex. A.R.T. was helping Bob to recover from the trauma of his childhood by triggering the release of this survival reflex. In every A.R.T. session Bob would experience some dissociation, but over time the dissociative response became reduced until he no longer felt it at all. Throughout his childhood Bob had been conditioned into a permanent state of stress, with the accompanying feelings of anger, fear and apathy. Through A.R.T. this conditioning is cleared from his nervous system. He was now free for the first time in his life to respond to his life experiences in a positive and confident manner. After several months of therapy his wife noticed that he was friendlier, more easy going, more helpful around the house and more engaged with their children. He had not had a fit of rage in months. There was laughter in the house – no more walking on eggshells. Bob noticed that he wasn’t flying off the handle anymore, he now had the time to think before he responded. He was feeling more comfortable in himself, the constant tension in the pit of his stomach was gone. He was feeling happier and more loving towards his family – Bob was developing healthy attachment to the important people in his life. He was released from the prison of childhood trauma. How will my clients benefit? Your clients will experience relief from the painful emotions they are stuck in. When they experience relief from anxiety they feel at more ease and calm, when they get relief from anger they feel more accepting and forgiving; and when they get relief from loneliness they feel loved and included. You will easily and quickly learn the hands on practical skills of how to conduct an A.R.T. session – this is the basic sequence of activities that we use in every A.R.T. session. Next you will learn how to safely facilitate the release of stress and trauma for your clients by ‘reading’ the subtle signs of stress release they experience in their session, such as feeling more sleepy and then more refreshed. “How Your Mind Heals itself”, and subscribe to our newsletter enter your details below. Discover how our emotions evolve – only a few days after conception we already experience the very primal beginnings of human emotion in the form of primitive survival fear reflexes; these reflexes lay the foundation for us to become compassionate, empathic and caring adults who can take responsibility and show leadership. Learn how to help your clients evolve and mature to reach their highest potential by applying these principles of growth and development in your clinical practice with the Level 2 and Level 3 training programmes. Recorded lectures (12 hours) available online any time. Level One is a pre-requisite for proceeding to Level Two. Practical training in clinical applications is a 9 hour course (3 x 3 hours) via skype or phone. Completed within 1 month. 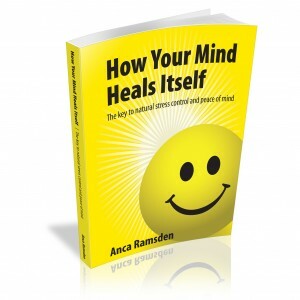 To receive the FREE e-book of “How Your Mind Heals itself”, and subscribe to our newsletter enter your details below.